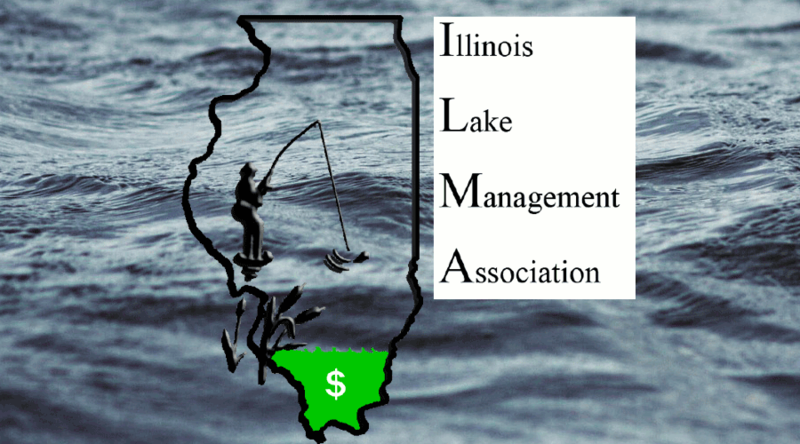 ILMA LAKES Grant Replacement Challenge: We are issuing a challenge to all our members as well as all other Illinois Lakes and Watershed Stakeholders to help fund the continuing vital activities of this organization! As you may know all sustaining Grants from State agencies have been curtailed and we need to find replacement funding. You Can Help! Just One Dollar ($1) for every Acre of Lake you represent (or a portion thereof) from our members alone would more than offset the grant loss and sustain our activities. The challenge has already been met by several representatives of lakes in our membership. You can see their contributions and our progress here. ILMA is a 503c organization and your contribution is tax deductible. With 84,000 Lakes and ponds in Illinois this should be a “Buck-a-Body” of water. LET’S FILL THE LOGO! The Grant provided about $15,000 annually. Don't want to pay online? Download our Mail-in-form! I gave more than a buck an acre cuz I like what your organization does! 101 plus lakes he has worked with during his career! Copyright © 2019 Managed by : Wonderwave Design. All Rights Reserved.